We covered Structured + Minimalism in a previous post so I thought I would cover the second Floral style today. What is lush garden style? I would describe garden style as romantic with beautiful lush garden style flowers. 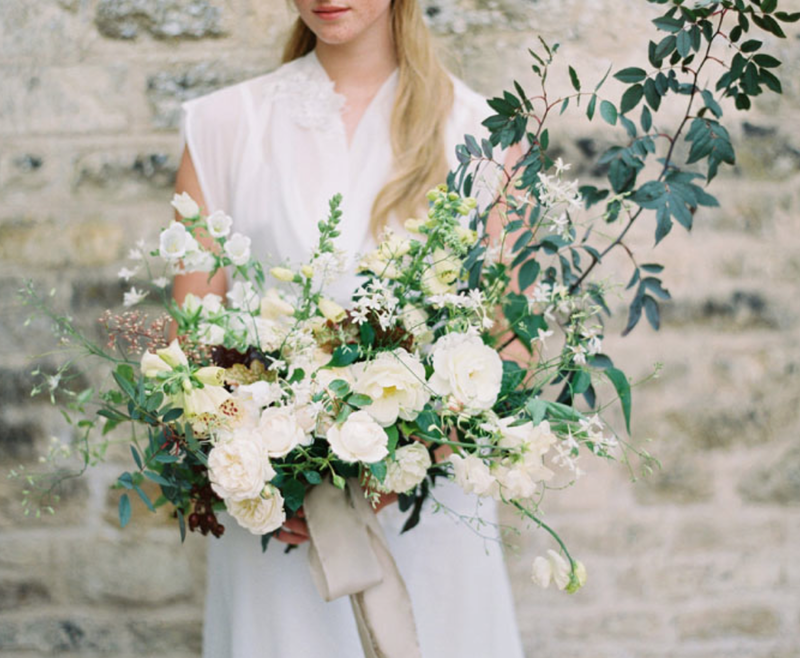 Flowers that evoke this style could include the following garden roses, roses, spray roses, dahlias, peonies, poppies, anemones, astilbe, ruffled tulips, sweet peas, lisianthus, hellebores, viburnum, lilac, spirea, hyacinth, scabiosa, stock, larkspur, wax flower, and so many more. Within garden you will find lots of layers, movement, textural elements. There is movement with in and out airiness in the design. Some may be more tailored but the trend is more bountiful and filled with natural elements. You will see elements like garlands incorporated in the design. I wouldn't be surprised if the vessels were ceramic urns or silver compotes. And don't count out the use of wonderful green foliage and even some flower branches. This is merely one example of garden style. Of course there are many variations. 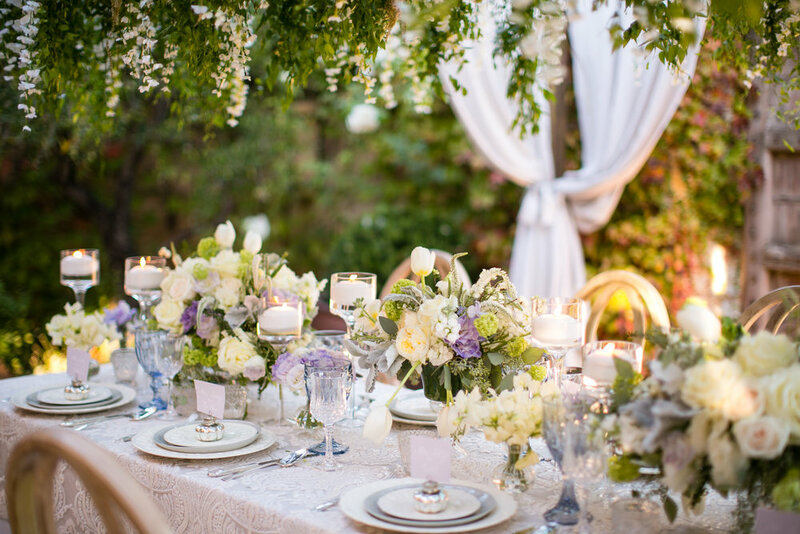 Let's talk a look at garden style expressed in a different way. Shall we? This wonderful look with pastel hues which was created at the Oh So Inspired retreat at Ramekins is another example of garden style. 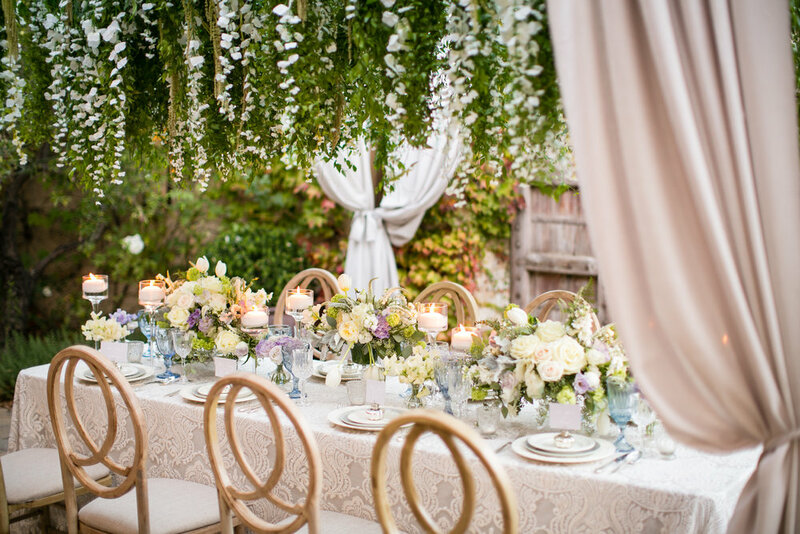 The image of the wonderful long table with wisteria hanging over is the quintessential definition of garden. Recreating the feel of sitting outside on a veranda sipping lavender lemonade was the inspiration for this design. It's relaxing, soothing, full of what you would imagine what it would be like to have a wedding under a garden of flowers. Am I right? 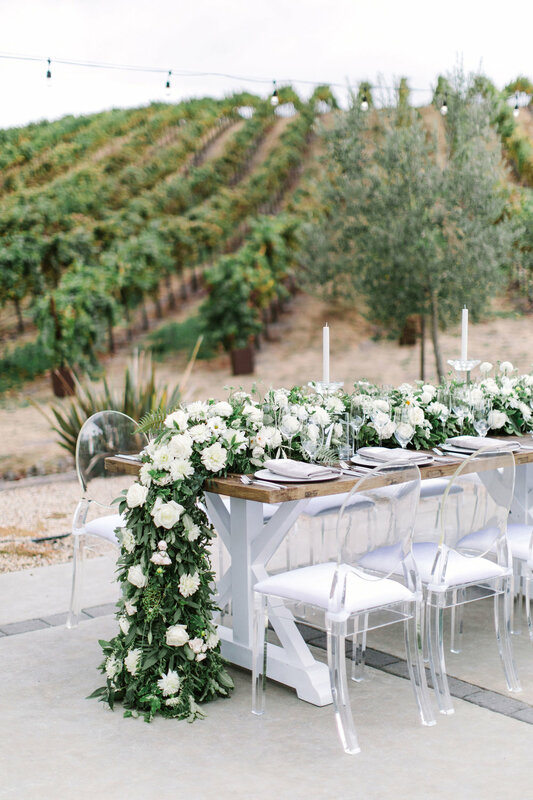 Not all of us will agree on where a wedding will fall as many have two styles incorporated but I certainly hope these examples help you to determine if this style suits you. After all that's the important thing to answer. Does this style evoke what you are looking for? Look for Part 3 of What's Your Style in the week to come. I've been reading the latest wedding planning book by Mindy Weiss and in her floral section she pinpoints that there are mainly four different style of florals. I imagine that she is right though some weddings are more eclectic and possibly a blend of multiple styles. Simple structured style can be grand and formal as in the work of Jeff Leatham(far left image below). But it can be as easy breeze is floating gardenia in a big white low bowl. Within the lush garden style you can go in the path of a more English garden look while another direction could be more neoclassical which is the style du jour(think Sarah Winward). One of my favorite style as it often looks like a gathering of things from a walk through garden park(see second image from the left) A garden style can be traditional and work for a formal wedding as well as informal. It's all how you mix the container within the space. Most importantly, within each style there are variations so the formal traditional can be romantic, it can classic, it can be neoclassical, it can be metropolitan grand style of Preston Bailey as seen below(third image from the left). 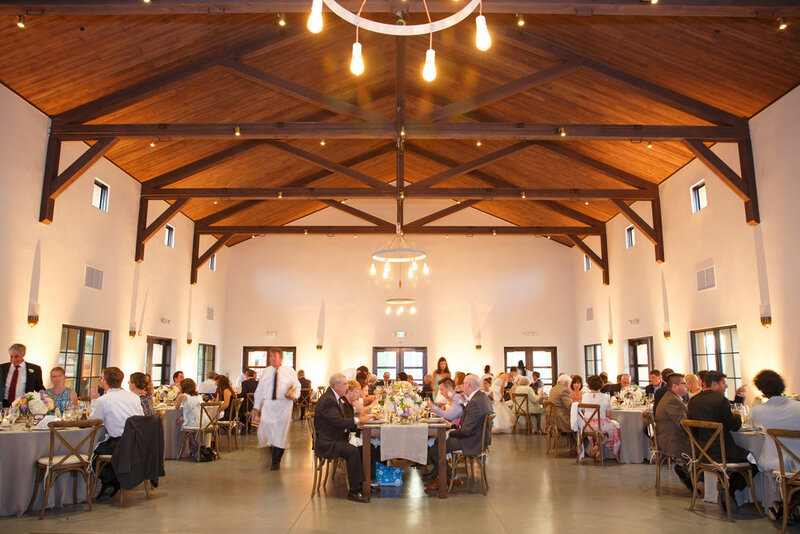 Often reserved for indoor hall, ballroom spaces, and could include formal tented weddings. 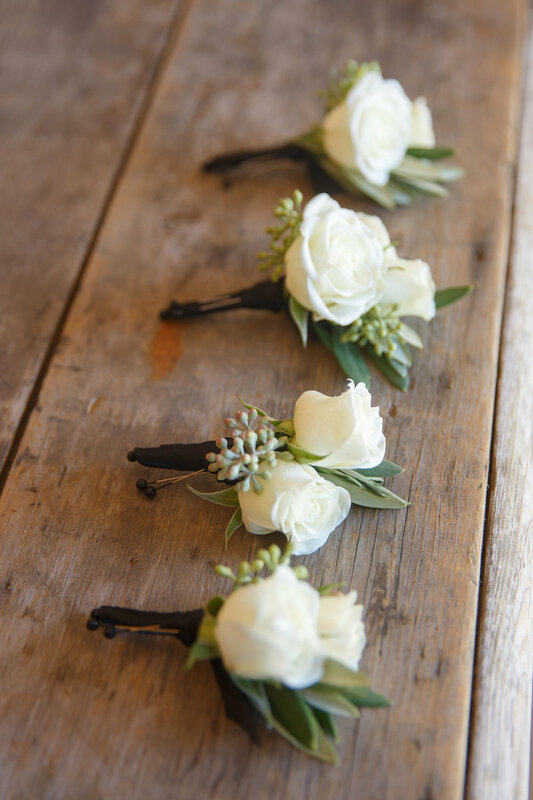 Rustic and natural is so popular and you can see it often in the work of barn and outdoor informal weddings. 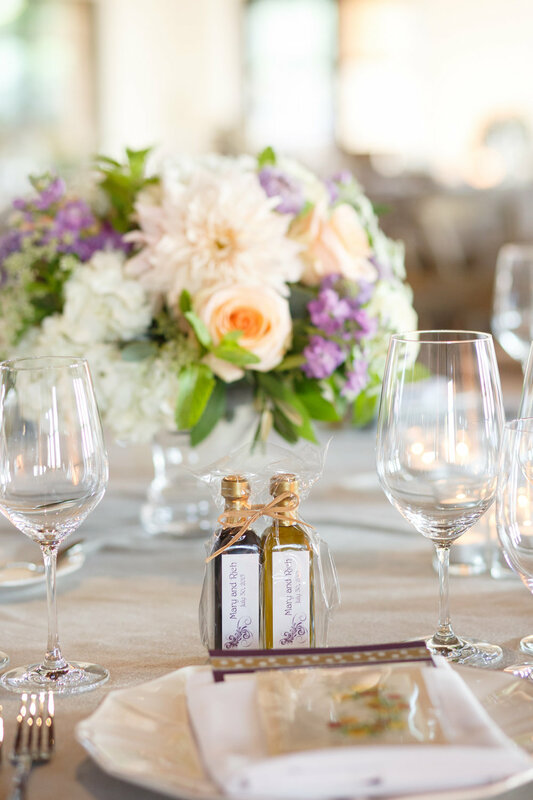 Most of the time, use of jars, wood containers, fall fruits(like the far right image courtesy of Martha Stewart Wedding website), Tuscany urns evoke that feeling of relaxed and organic. 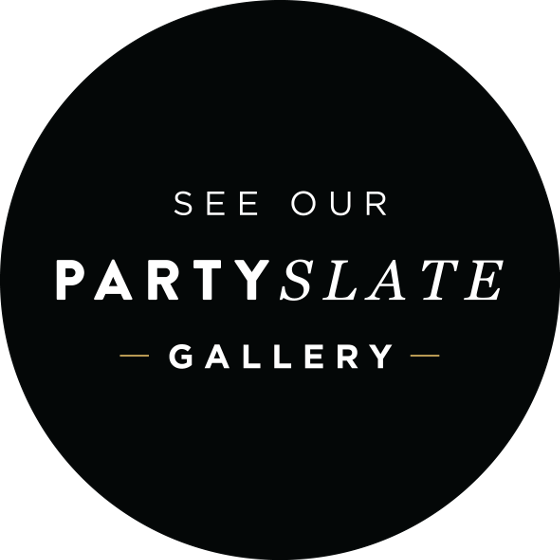 Most weddings are most likely one of these four styles if not a combination of two differing styles to create a mixed look. Let's just see some more examples on how we interrupt these four styles. 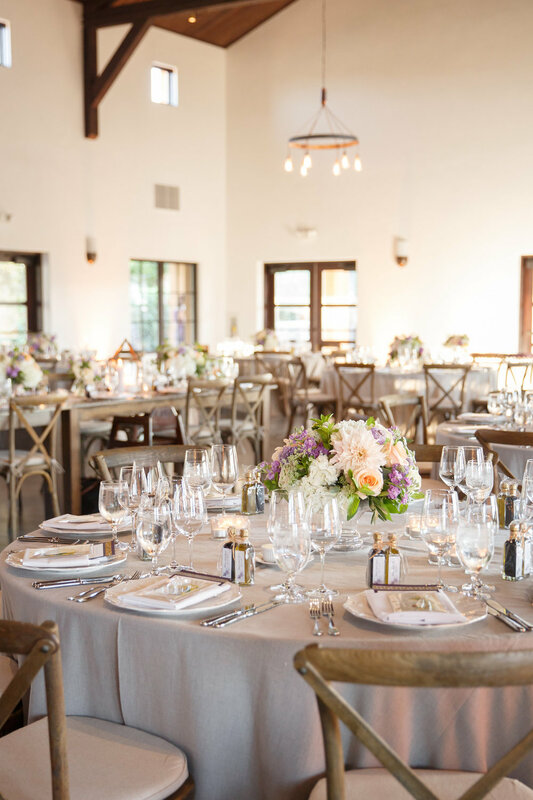 Perhaps in doing so, it will help brides and planners to pinpoint the style that most describes their clients overall feel. Today's let's look at what structured simplicity can look like.